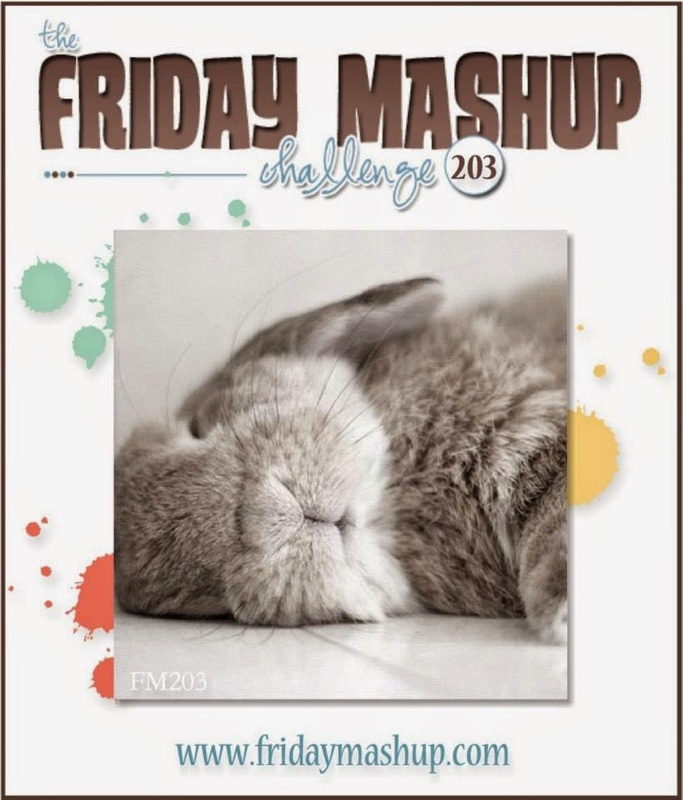 Good morning, its Friday, Friday, Friday and what better day to share my project as hostess over at The Friday Mashup! This week is my first time hosting our mashup challenge. I hope you come play along. I can't wait to see what you create! Create a project using " So Saffron, Calypso Coral & Pool Party*". Create a project using "Easter Critters". or Mash it Up! and create a project with "Easter critters and the colors above". I decided to create my background using the Work of Art stamp set using the colors of so saffron, pool party and calypso. Then I stamped and colored the cute little bunny from the cheerful critters set. I just love this color combo, its one of my favorites especially for Springtime. Thanks for stopping by to check out my challenge card. Leave me some "critter love" and go see what the other designers created for this weeks mashup challenge!